Over a century old, the rectory is believed to be haunted. Witnesses working on building renovations have seen eerie mists and shadows under the doors of empty rooms. Some say one ghost who resides here is Father Donald MacLeod, who wrote “The History of Roman Catholicism in North America.” In the late 1800s. He was hit by a train nearby, and locals, including parishioners, have seen his ghost walking along the street near the building or by the railroad tracks. Visitors here have heard unexplained footsteps and voices and seen doors opening and closing. They’ve also seen the apparition of a clergyman. Other spirits believed to haunt the place are a man and a child who were both found dead, at different times, on the street in front of the rectory. The child had a noose around its neck. 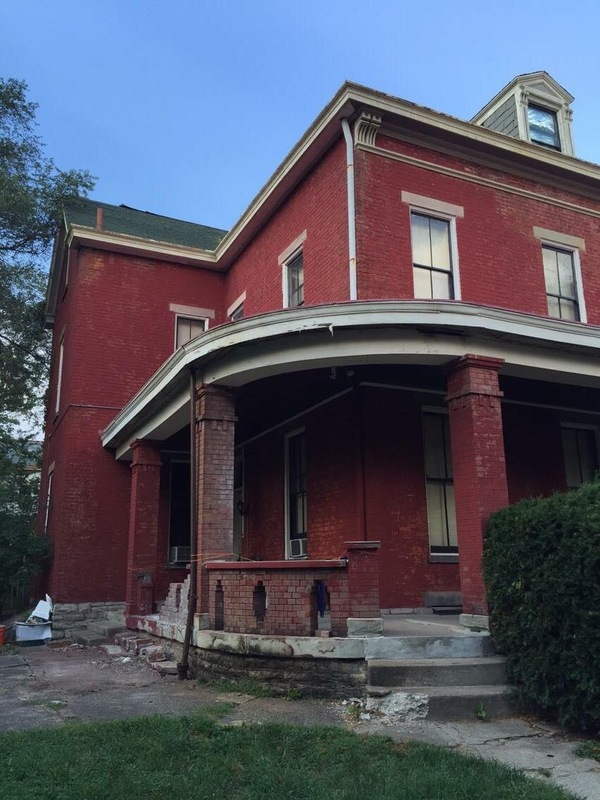 Midwest Preservation Society began renovations of the Sedamsville Rectory in March 2011. The Sedamsville Rectory was built over 120 years ago. The Midwest Preservation Society is working hard to restore it back to its original condition. The facility has over 6000 square feet of space and four levels. On the first level, it has a parlor, living room, library, formal dining room, a kitchen as well as a bathroom. The kitchen has a staircase leading up to the second level where the servant’s quarters are located. The second level has four bedrooms, three bathrooms and a beautiful staircase going to the first floor. There is also a staircase leading up to the huge attic. The Rectory also has a full basement, which is divided into four separate areas. The Rectory is one of four buildings once belonging to Our Lady of Perpetual Help. The Rectory housed the priests that served the community. The church itself was dedicated on May 5, 1889. However the parish was organized by German speaking members of St. Vincent de Paul in 1878. The Gothic Revival style church sits high on a hill overlooking Sedamsville and replaced another church built on Sedam Avenue that was prone to flooding. The school, built in 1907, closed in 1976 and merged with Holy Family parish in East Price Hill. When Our Lady of Perpetual Help parish closed, the remaining families joined Holy Family as well. Our Lady of Perpetual Help Church was stripped of its sacred items and the building was sold. The original church bells and organ were installed at Holy Family as were the icons, originally given to Our Lady in 1887 by Pope Leo XIII. Henry Sedam was responsible for Sedamville and the village was formed in 1835. Sedamsville was annexed into the City of Cincinnati in the late 1860’s. At one point there were over 100 businesses on River Road between Steiner and Sedam Street. It was close knit community. One popular place in the early days was Manhatten Park, owned by the Fleishmann Family of the Fleishman Yeast Company fame. The park lasted until the 1913 flood destroyed it. Sedamsville like much of Cincinnati continued to prosper and at the turn of the century Sedamsville had a post office, police station and Fire House. Although Sedamsville might seem isolated and remote, residents could take the streetcar into the city and the Bromsley-Sedamsville Ferry took people across the river to Kentucky. The city also had a Train station. In spite of the river flooding the business district hummed along however the disastrous flood of 1937 and the ongoing depression made it impossible for some to rebuild and thus began the slow decline of the once bustling commercial district. The city had been proposing the raising and widening of River Road and when it was first proposed in the 1920’s there was serious opposition to it. By the 1940’s because of the business district decline there was hardly any opposition to the project. The road widening left a neighborhood without a business district. 91 buildings were razed and over 100 familiesSedamsville Flood were displaced. All those buildings were pre 1900 and some were very early structures. Today those buildings would have been moved. Historic preservation was virtually unheard of back in those days. Sedamsville still has a good collection of residential structures and efforts are underway to have the area declared a historic district in an effort to protect it.